Caregivers need care, too! At Special Touch, we have over 40 years of experience at providing professional in-home care in the greater NYC area. Whether you're a caregiver participating in the CDPAP program or taking care of a loved one outside the program, we hope these resources for caregivers in Queens are helpful to you! Want more information about the CDPAP Program? We can explain the program and help to see if you qualify to participate! CDPAP (the Consumer Directed Personal Assistance Program) provides the opportunity for those who qualify for Medicaid to choose someone they already know as their in-home caregivers. The caregiver is then paid a salary. At Special Touch CDPAP, we are a division of Special Touch Home Care and serve as a fiscal intermediary for the CDPAP program, which means we facilitate payments to caregivers. 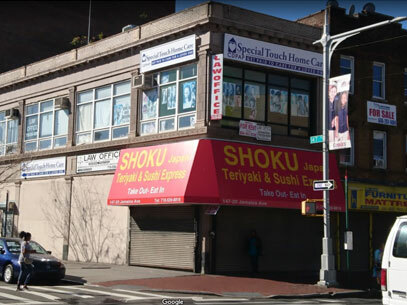 Our office in Queens is located at: 147-20 Jamaica Ave, Jamaica, NY 11435 - Get Directions. CARE NYC provides support to caregivers throughout New York City, including two locations in Queens. It offers respite planning, peer support groups, education and caregiver skills and more. The website NYC Caregiver connects family caregivers in New York City with resources provided by the National Family Caregiver Support Program. You’ll find a wealth of information on the site as well as local resource centers in each of the five boroughs. SNAP, or Services Now for Adult Persons, runs the SNAP of Eastern Queens Innovative Senior Center. The organization offers a caregivers program featuring support groups, individual counseling, and educational workshops. Willing Hearts, Helpful Hands is a community service program of the Parker Jewish Institute for Health Care and Rehabilitation. It offers a respite program with trained volunteers serving caregivers in Queens as well as Nassau and Suffolk Counties. Disclaimer: This list is not intended to endorse any of the organizations listed. It is meant as a helpful guide to specialized support services for Caregivers in Queens. You may wish to do further research before choosing to engage with any of the above organizations. Want to recommend an addition to this list? Use the contact form below to tell us about it!